Breweries come in all shapes, styles and sizes – from mega production to nano-brewing and everything in between. No matter which size category, I love when a brewery strives to be true to its roots and celebrates its uniqueness. Just this weekend, I went to get a sneak peek at the soon-to-be-open Harty Brewing Company located in Mechanicsburg, PA within the Walden (Charter Homes) Community. You see, Walden is a neighborhood that combines stylish living with Mom & Pop businesses. It’s a laid back city where neighbors talk to neighbors. Where the residents can walk from their home to the gym, a restaurant, a salon, clothing stores and now… a brewery. Mike Harty and Lauren Ishaq, owners of Harty Brewing Co. live in Walden and are realizing their dream of operating a small batch brewpub where their neighbors can relax and socialize. Don’t let the small size fool you. There were easily 45-50 people in the space with room to walk around and mingle. The contemporary decor was exquisitely done with a mix of bold industrial and warm rustic elements. I can’t decide if my favorite element was the custom built bar top that featured many shades of rich stained wood or the warm brick wall at one end of the brewpub that had their logo stenciled on in a soft white paint. (shown above) All I know is everyone loved it and felt very comfortable. The huge wall of windows will be quite exquisite come summer when the days are longer and the sunlight just streams in to fill the place. Lots of natural light is always a winner in my book. Not to mention the paint colors were light and bright giving everything a fresh, timeless look. The beer list was simple and straight-forward. No frilly or crazy names making it very approachable for those customers that are new to craft beer. I started with the American Pale Ale which was a nice balance of crisp, biscuity malts and citrus flavored hops. This choice was definitely pleasing my palette. So good. The Oatmeal Stout was rich and slightly creamy. Roasty notes of caramel, dark chocolate and toast were present. The Belgian Blonde Ale was a beautiful golden color with a distinct nose of banana and wheat. My husband also agreed this was delicious. Expect a traditional Belgian yeast bubble gum flavor with a touch of banana and peppercorn. Mike is the brewer and both he and Lauren tend the bar. If you’re not sure what to order, they can steer you in the right direction. You can also order a flight of 6 beer samples for $12 so you can explore and taste for yourself. Not into beer? You have options, too, like Big Hill Cider (Gardners, PA) or a selection of wines from local wineries like Grandview (Mount Joy, PA) and Seven Mountains (Spring Mills, PA). FUN FACT: Spent grains produced during the brewing process will go to Paulus Farms, located in Mechanicsburg, to feed the animals. Harty Brewing will eventually have a small menu with food prepared by Sophia’s at Walden – located just across the street. I have dined at Sophia’s in the past and give a thumbs up on their fresh, well-crafted food. I’ll definitely be back to check out both the brews and food at Harty Brewing Co.
Tees are only $10 and come in both white or black. 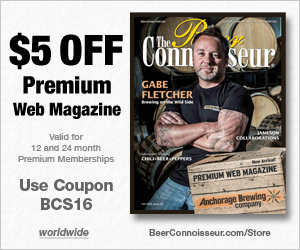 Be sure to pick one up when you visit and support this local brewery! Harty Brewing Co will officially be open for business this Thursday (2/11/16) 11am – 3pm. Friday, February 12 at 5:30pm is the ribbon-cutting ceremony, brew sales and complimentary food sampling. The bar will remain open until 11pm. Can’t squeeze in a visit until the weekend? No worries. They’ll also be open Saturday from 1pm – 11pm. Stay in the know of what brews they’re tapping, hours open for business, etc. on the Harty Brewing Co. Facebook Page. Kudos to Mike and Lauren for taking a risk and going for it all with the new brewery. I wish them much success in their exciting new adventure. Cheers!